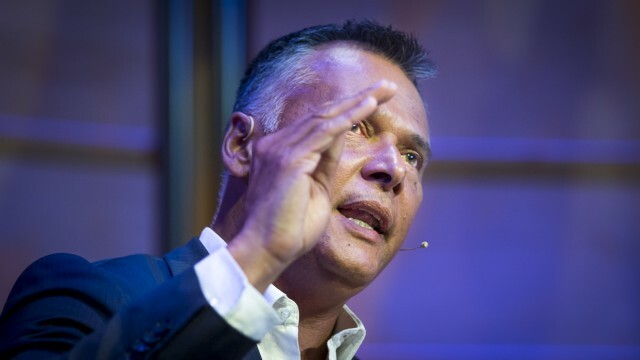 Over a million people have viewed Stan Grant’s powerful speech from last year’s IQ2 debate, where he argued that racism is destroying the Australian dream. We asked a number of Indigenous men and women what we can do to make a real difference for Aboriginal and Torres Strait Islander Australians. It’s not hard to capitalise on Stan Grant’s momentum. Last year, Grant delivered an address that left a crowd of hundreds speechless. This week, those same words jumped off computer screens and into the hands of ordinary Australians, polarising millions of lounge-room commentators. He forced an entire nation to confront a history that no-one wants to talk about. He made you uncomfortable because he put a human face to the stats and figures that so commonly define First Nations peoples. Today, those of us who live it know that it’s all come and gone before. Noel Pearson delivered a speech that commentators said would be spoken about for years. In the months that followed, there was silence. With just a few words Charlie Perkins could mobilise crowds to take to the streets. Is it that easy to forget? Knowing this, tomorrow the challenge will be that this momentum, created by a Wiradjuri man, doesn’t drown in a sea of barbeques and beers that is “Australia Day.” Just as Stan Grant said, we are better than this. This time, let the power of words inspire you to make a change beyond a thumbs up on a post. We can insist that schools teach Australia’s silenced history. We can hold our governments to account. We can be empowered by our shared story. Never before have we been so connected – we can create a global movement through our fingertips. And I’ll let you in on a little secret. It’s not that hard to do. Tanya Denning-Orman is the channel manager for NITV. Follow her on Twitter @Tanyadenning. Now is the time to do something. The worry with making white people “feel all the feels” as we sometimes say online, is that it won’t lead to any change in thought, behaviour or actual contributions to the work that needs to be done. Worse, it can actually do the opposite. White people’s emotional experiences are all too often used to validate privilege and identify themselves as “one of the good ones.” This shifts the responsibility to act away from them and onto “those other people.” Novelist Teju Cole labelled this phenomenon the “White Saviour Industrial Complex,” saying “The White Savior Industrial Complex is not about justice. It is about having a big emotional experience that validates privilege.” This response gives people the moral authority to continue to justify racist responses that make them feel good about their privilege and their direct, and indirect, contributions to racism and oppression. This attitude is what all too often justifies brutal government responses to complex problems. In Australia, this takes the form of punitive approaches to an endless list of humanitarian issues. The NT Intervention, offshore detention, military action overseas, Aboriginal deaths in custody, and increased rates of Indigenous child removal and incarceration, whilst simultaneously defunding strategies to reduce these numbers…this attitude leads people to get upset or feel attacked whenever white privilege is mentioned. They remove themselves from any responsibility purely by virtue of their emotional experiences, not recognising they are the ones who benefit most from their emotional experiences. The very same people who claim to be our biggest supporters still argue that “we need to stop talking about race” rather than arguing “we need to stop racism.” They say “we are all Australians” without seeing the irony – erasing the identity of others was the outcome intended by culture genocide and assimilationist ideals. They feel betrayed when this is challenged because they feel they are owed for the emotional experiences they have felt. If your response to videos like Stan Grant’s speech is to pat yourself on the back for a job well done without actually considering your place in the status quo and whether or not your ideas are just rebranded versions of the racism people have been fighting against for centuries, you are a part of the problem. The same goes if you recognise the above but don’t actually pursue change. If you sit silently when you see racism within your own family, your workplace, your social group…if you don’t support those who work at the coalface, addressing the ongoing impacts of colonialism or who work at the highest levels trying to prevent it from continuing, you are part of the problem. “I deeply respect American sentimentality, the way one respects a wounded hippo. You must keep an eye on it, for you know it is deadly,” writes Teju Cole. Ditto for Australia. Luke Pearson is the founder of IndigenousX. Follow them on Twitter @IndigenousX. The real power of Stan’s speech is yet to come. As part of the debate, Stan Grant’s words were powerful. They were honest. They came from the heart and they were passionate. Unfortunately, for many of us, they were not something new. They were words we had said ourselves in vain, similar to words we had heard from our parents and our peers. And so we watched and sat in pain yet again at the reality of what is our great Australian nightmare. For me the importance of Stan’s speech is that has managed to reach a global audience. It has been heard by some who, for whatever reason, knew nothing about the facts Stan, a strong Wiradjuri man, was sharing as part of a debate that, in all honesty, was not much of a debate. Words can be powerful. They can make us change the way we think. They can help us understand and feel empathy, but what are words without actions? I think the real power will come now, post Stan’s speech, in a call to action to all those Tweeting and Facebooking to actually do something! Teachers, watch the entire debate with your students – get them to discuss, debate and talk about the issues raised. Parents, do the above also! Corporates, politicians, policy makers, what are you doing in your worlds to address the inequities Stan mentioned – immortality rates, incarceration rates, the ongoing removal of children? Retweeting is not enough. You cannot claim to want equality for Indigenous Australians if you are not prepared to participate in the change. Build partnerships with Indigenous organisations that are already working in the areas you have influence in. Form lasting strategies to create the change this country needs. But please know, it’s not going to be easy, or going to be fixed over night. It’s over 200 years of damage we are talking about repairing, in order to make the nightmare a dream. Dr Anita Heiss is a proud member of the Wiradjuri nation. She is an author and manager of the Epic Good Foundation. Follow her on Twitter @AnitaHeiss. We’ve had “Stan Grant moments” before. I am confounded that some are comparing Stan Grant’s much-admired speech from the IQ2 debate last year on Australia’s racism to Martin Luther King. Doing so erases Aboriginal activists who have come before us, including Dr Charlie Perkins. Perkins headed what are now known as the “Freedom Rides” – a busload of Sydney University students who toured particularly racist northern New South Wales towns to shine a spotlight on the heinous racism and segregation between blacks and whites in 1965. His passionate activism in towns, pubs, RSLs, swimming pools and the like, saw changes to many rules and regulations. Now that Stan Grants speech has gone viral, will it engender any changes to current governmental policies? Put back any of the money ripped out of the budget allocated to Aboriginal programs and issues? 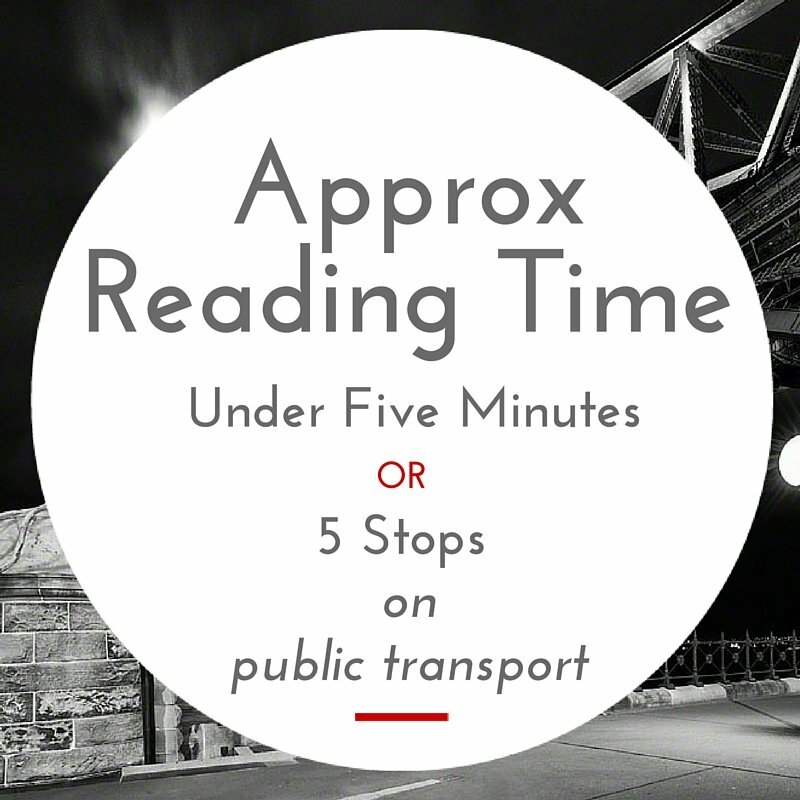 Create a much-needed conversation about Australia’s ongoing overt and casual racism? Stan Grant, while passionate, has not said anything Aboriginal people haven’t been saying in numerous mediums for the better part of a decade. So while I admire Stan’s stance, I do not hold out any hope that it will not be forgotten in a week, or that it will make a difference. Kelly Briggs blogs at thekooriwoman.wordpress.com. Follow her on Twitter @TheKooriWoman. The Ethics Centre will be kicking off their 2016 IQ2 Debate series in March – tickets are available here. The Ethics Centre (formerly known as St James Ethics Centre) is an independent not-for-profit organisation that has been working for over 25 years to help people navigate the complexity and uncertainty of difficult ethical issues. Heard every word, beautifully presented but sadly so off the mark. Australia for many years has tried desperately to “fix” the indigenous problem, money, goodwill good gestures, silly gestures, massive amounts of money, PC beyond any sensible persons tolerance and yet our indigenous brothers and sisters are still at the bottom of the heap. Stan, stop obsessing about the past, lift your eyes and look to the future. The only thing in modern Australian that prevents our indigenous people moving forward are Stan Grant speeches and the aboriginal industry who seem more concerned about their virtue and the past than actually making a difference. Stan roll up you sleeves and get your people to school, get them out of unsustainable communities in the middle of no where, wringing your hands, and show them what is possible. You my friend.